After watching movies like Blood Diamond or documentaries like Food, Inc., which raise awareness of the questionable morality of certain industries, you might feel compelled to look into the background of the jeweler who sold you that engagement ring or inspired to become a vegetarian. For many of us, the thought of contributing to immorality is appalling. Luckily, we do have other options. Many musicians, celebrities, and brands have announced partnerships with charitable causes and awareness campaigns, promising to donate proceeds from purchases. Katy Perry, Starbucks, Dell, and others have joined the (RED) initiative, for example, donating money to provide medication for AIDS and HIV. Companies like TOMS promise to donate a pair of shoes for every purchase made, and the up-and-coming Brandless, partnered with Feeding America, promises to donate a meal for every order. If you’re concerned about ethical shopping, purchasing from a company or supporting a celebrity who backs a socially conscious cause has never been easier. But what is it that has sparked this obsession with shopping and supporting conscious companies and celebrities? Do consumers really care about brand morals? In the 60s and 70s, so-called hippies were everywhere, protesting everything from war to animal-skin clothing. While the movement died out, younger generations like Millennials have adopted their passion for social consciousness and have driven brands to adopt social responsibility policies. According to a survey conducted by Morning Consult, two-thirds of people between 18 and 34 years old were at least “somewhat more likely” to work for a company that gave to charity. The survey also found that young people were more likely to purchase from a company that gives to charity than their elders. This means Millennials are choosing fair-trade coffee, free-range chicken eggs, and other socially conscious products over their (sometimes more affordable) counterparts. The apparent shift to supporting publicly ethical companies is causing some concerns for older brands. According to an index which had consumers score 150 different brands, older generations ranked classic brands like Newman’s Own in the top ten, while younger respondents ranked it at 81. “Without building stronger support from younger generations, [aging brands] risk declining sales over time and eroding the brand equity that the company has spent decades building,” Sebastian Buck explained. 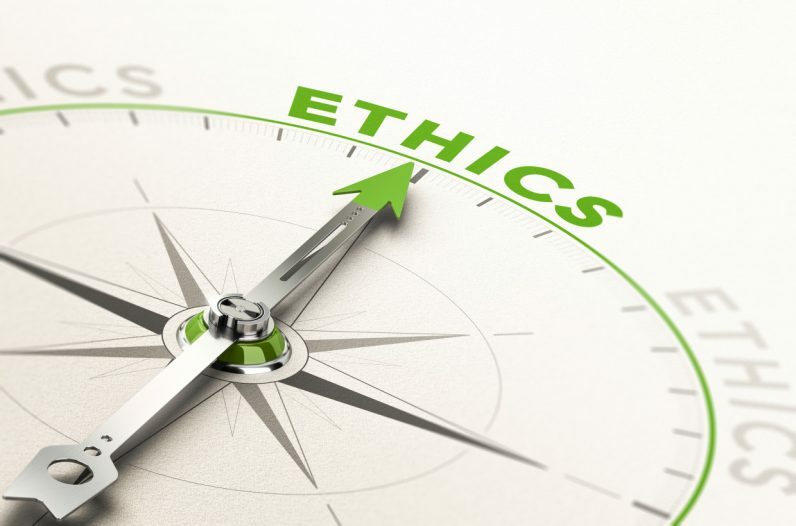 Despite young consumers’ apparent focus on ethical companies, many do not entirely practice what they preach. While they may go out of their way to buy products that were not tested on animals, they still drive their environmentally-unfriendly car to and from work every day. In the book The Myth of the Ethical Consumer, co-author professor Timothy Devinney outlines an experiment which demonstrated just how easily an “ethical consumer’s” preference could be influenced. The experiment showed that consumers were deterred from purchasing fair-trade coffee if they had to ask for it and would settle for whatever the coffee shop typically served; only one percent asked for fair-trade if it was not advertised. If the option for fair-trade coffee was advertised, though, 30 percent chose it over the standard in-house coffee. Even when it comes to the brands they believe are ethical, consumers are quick to accept brand’s claims at face value and don’t always look into the company’s practices deeply. For example, H&M releases an annual sustainability report detailing its eco-friendly practices and plan to reduce its environmental impact. However, as they continue to open more stores and facilities, fast-fashion uses resources and impacts the environment in ways that have been shown to dramatically negate the efforts outlined in their report. Everything from the raw materials used for industrialization to the carbon emissions of the trucking industry which ships the majority of American freight serves to undermine the (much more heavily advertised) sustainability efforts being made by big business. Although brands should be making an effort to reduce any negative impact on the environment and give back where they can, the reality seems to be that not as many consumers care about brand morals as businesses are being led to believe. According to a UK survey of 1,000 consumers conducted by Morgan Stanley, most consumers still rank price and quality higher than ethical concerns, and 49 percent of consumers rated a business’s moral compass as neither important nor unimportant, somewhat unimportant, or not at all important. As good as it is to support ethical companies and brands, it would be fairly impractical to put a brand’s morals at the top of your priority list. Do consumers really care about brand morals? Maybe not — at least, perhaps not as much as we thought. While social consciousness, ethics, and morals do matter, as long as consumer commitment to sustainability remains superficial, so will brands’ endeavors to meet the demand.